Slow websites are one of the main reasons why many websites lose the customers and sales. You must use some caching methods to reduce the loading time of the website. Memcache is a memory object caching system that makes your websites load faster, by fetching the cached data quickly from the memory. 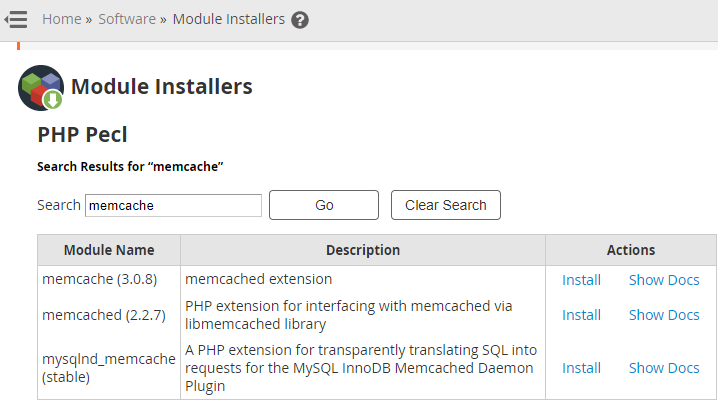 Do the below steps to Install memcache on easyapache 4 server. Do not run the below commands on an easyapache 3 server. Run the command ‘/scripts/easyapache –version’ to check whether it is an easyapache 3 or easyapache 4 server. Easyapache 3 server will show the exact version when you run this command. On Easyapache EA4 servers you will see ‘EasyApache4 is in effect’. 1. 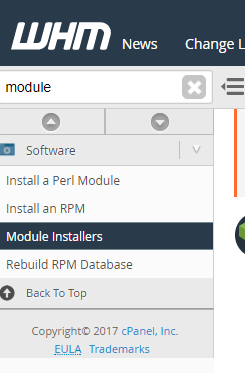 Log into your cPanel server via SSH as root user. 2. 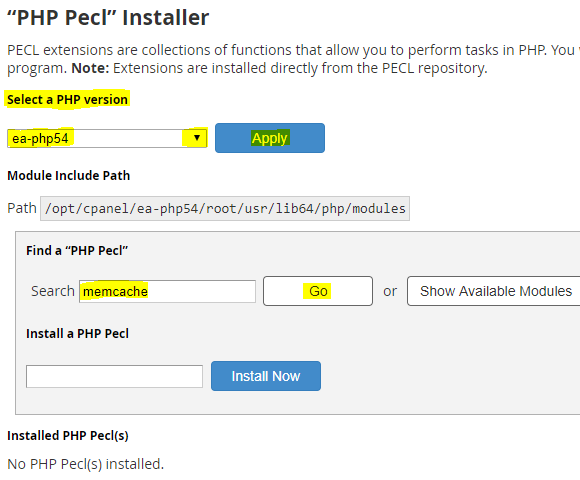 Use pecl to install memcache for PHP version 5.4. 3. Installer might ask whether to enable memcache session handler support. Enter ‘Yes’ and press enter key. 6. Create a phpinfo.php file under any website that is having PHP 5.4 version and check whether memcache is enabled. Restart the web server if memcache is missing in phpinfo file. Try the above command to install memcache in PHP 7. Follow the below steps if you face any errors. 3. Open the file “/opt/cpanel/ea-php54/root/etc/php.ini” in vi editor and remove the line “extension=memcache.so”. 4. Save the php.ini file and exit. The above steps are for Installing / Removing memcache in PHP version 5.4. 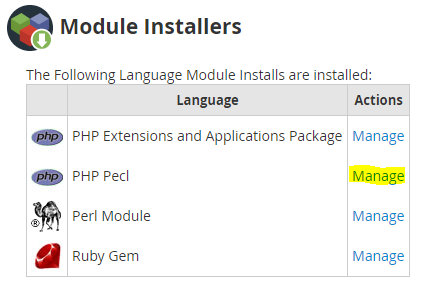 Do the below steps to uninstall for other PHP versions. The above steps are for installing PHP memcache on easyapache 4 EA4 server. First type the below command to check whether it is an easyapache 3 or easyapache 4 server. Easyapache 3 servers will show the exact version and easyapache 4 servers will show “easyapache 4 is in effect”. Always check the easyapache version before installing PHP memcache. You will see the below output on an easyapache 4 server. EasyApache3 is not available when EasyApache4 is in effect. 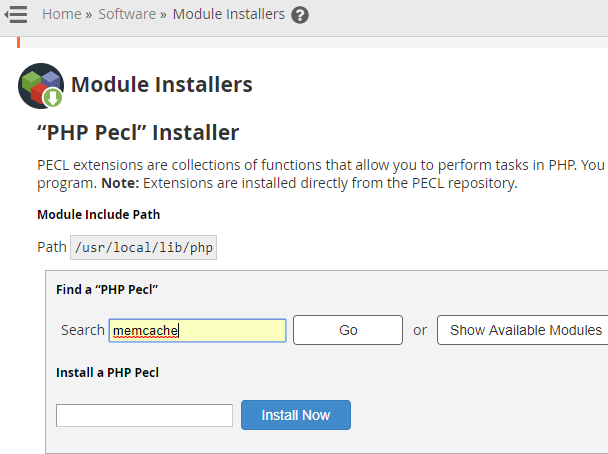 Do the below steps to install PHP memcache on easyapache 3 server. 3. Run the command “php -m | grep memcache” to check whether memcached module is enabled. Run the command “pecl uninstall memcache” to uninstall memcache. Try the below steps to install from WHM, if you are not familiar with installing packages from server backend. 6. Click on “install” the memcache extension. Click on “Show docs” under “Actions”, if you want to read the memcache docs. 7. Create a phpinfo page to make sure memcache is enabled. By default CACHESIZE will be 64, you must increase this value. You can also increase the maximum connections value and change the default port number 11211, if necessary. 7. Create a phpinfo file to check whether memcache extension is enabled.